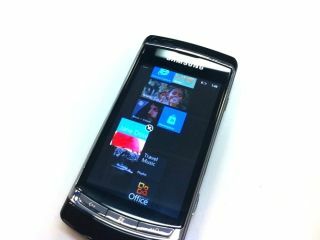 Microsoft has revealed that more than 1.5 million Windows Phone 7 handsets were sold to retailers in the first six weeks following the mobile operating system's launch. The information only states how many phones were purchased by the retail chain rather than are in the pockets of consumers, but gives a rough idea of the numbers we're talking about. Windows Phone 7 represents Microsoft's major push into consumer mobiles – with the company desperate to get back on track with a completely redesigned mobile OS. Word on actual sales had been thin on the ground until Achim Berg, Microsoft's vice president of business and marketing for Windows Phones, gave out the information. "We are pleased that phone manufacturers sold over 1.5 million phones in the first six weeks, which helps build customer momentum and retail presence," said Berg. "Sales are ramping well as our reputation is growing for offering users a unique experience and are in line with our expectations – especially when compared to other new platform introductions, he commented. "With a new platform you have to look at a couple of things, first of all customer satisfaction. As I mentioned before, we've seen great response on the complete mobile phone experience. "Another is phone manufacturer sales – phones being bought and stocked by mobile operators and retailers on their way to customers." Berg is aware that Microsoft has a tough task in competing with the likes of Google and Apple but insists that the company is 'in the race'. "We know we have tough competition, and this is a completely new product. We're in the race – it's not a sprint but we are certainly gaining momentum and we're in it for the long run."